Plan your week. 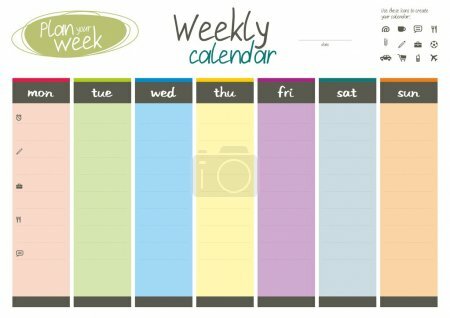 Weekly calendar. Plan your week. Weekly calendar. Easy to edit. Eps 8.